1. Is there a fee to join AfroStyle Magazine? There is no fee to view AfroStyle Magazine. However, readers may contribute or donate to the magazine. 2. Is AfroStyle Magazine just for Africans only? 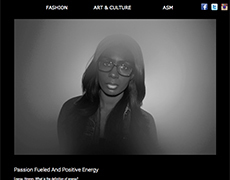 Although AfroStyle Magazine is an African Magazine and seeks to showcase Africa’s beauty through various avenues particularly through fashion, AfroStyle aims to include readers of various cultures by integrating fashion from different parts of the globe with African wears and also through relatable editorials. 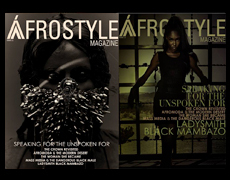 Therefore, AfroStyle Magazine is a Multi-Cultural African Fashion Editorial Magazine. 3. 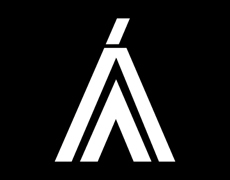 How often will AfroStyle be updated for readers to check out? AfroStyle Magazine is bi-annual and therefore will be updated two times a year. 4. How can my designs be featured in AfroStyle Magazine’s photo shoots? To be featured on a shoot, send photos of your work to info@afrostylemag.com. Please keep in mind that if you live outside of Southern California, USA, or you are not close in proximity to Los Angeles, California, you maybe required sending a sample of your work at your expense. Please keep in mind that your designs may not be used for a photo shoot. (b) Be aware that you are sending your items at your own risk. AfroStyle Magazine is not responsible for the safety of your items being sent to or from AfroStyle Magazine. 5. How can my articles/editorials be featured on an issue of AfroStyle Magazine? Please send your articles to info@afrostylemag.com for consideration. In addition, read the terms and conditions of AfroStyle Magazine. Not all submitted articles will be approved. If an article is approved, you will be informed. 6. What are the requirements to submit a photospread to AfroStyle Magazine? (a)	The spread must contain 10-15 strong shots. (b)	Submissions must contain all crew names involved in the shoot. Not all submitted photo spreads will be approved. If your spread is approved, photographers must sign a release form. 7. Professional looking headshots along with a short bio containing a link to portfolio, website or pages must be sent in with accepted submission.